Since Harvey Weinstein was accused by multiple women of sexual misconduct in October 2017 and activist Tarana Burke’s #MeToo movement became a viral hashtag, survivors have come forward and named abusers from all over Hollywood. On May 24, CNN published a report detailing claims from at least 16 people — eight victims and eight witnesses — accusing Morgan Freeman of inappropriate conduct and sexual harassment on film sets and at public promotion events over the course of his 50-year career. During their monthslong investigation, several women told CNN that Freeman touched them inappropriately or made comments about their bodies or clothes. 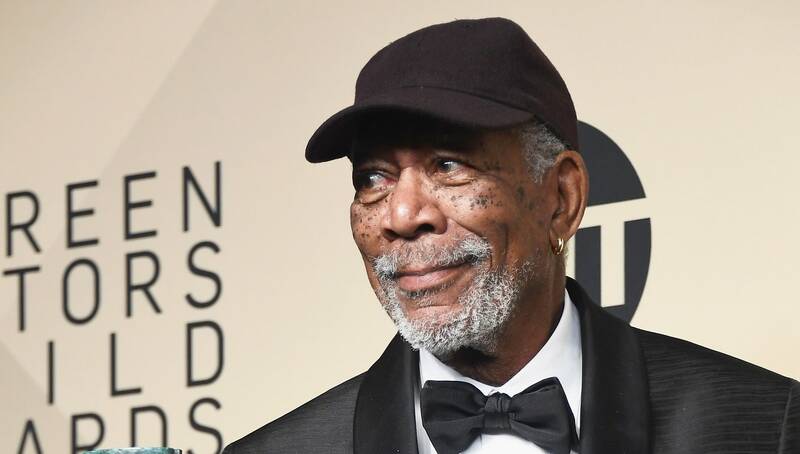 The behavior wasn’t limited to cast or crew on his films; at least three entertainment reporters, including CNN reporter Chloe Melas, who coauthored the article, said Freeman made inappropriate comments toward them. In Melas’ case, she said she interviewed Freeman at a press junket for his film Going in Style in 2017. She was six months pregnant at the time, and Freeman allegedly shook her hand without letting go, looked her up and down, and said, “I wish I was there.” She said he also said, “You are ripe.” Cameras caught at least one of Freeman’s comments, but not all of them. When Human Resources at CNN reached out to HR at Warner Bros. studios, who produced and distributed the film, they said that the claims could not be corroborated. Melas and her supervisor ultimately agreed that she would not be covering the film. The report also details damning stories from a woman who worked as a senior member of the production staff for Freeman’s 2012 film Now You See Me. She told CNN that Freeman sexually harassed her and other women on set on numerous occasions. “He did comment on our bodies…” she said. “We knew that if he was coming by … not to wear any top that would show our breasts, not to wear anything that would show our bottoms, meaning not wearing clothes that [were] fitted,” she said. Let’s repeat: Only one claimant out of 16 total is quoted as saying that someone stepped in to defend them. Freeman’s alleged behavior is absolutely horrifying, but what’s equally horrifying is how often we allow this kind of behavior to happen without saying anything in the moment. This isn’t even the first time Freeman has been in the news for inappropriate comments, as noted in the CNN piece. He was criticized for making sexist comments about his production partner, Lori McCreary, in 2016, which he defended on Today. Be honest: Are you really that surprised? More: What Happens Now That Bill Cosby Was Convicted on All 3 Counts? Frankly, after all the men who’ve been named in the last seven months, none of them shock us anymore. That’s incredibly distressing, but there’s also power in the fact that people are coming forward, naming their harassers and demanding consequences. We applaud these women for stepping up, and we respect those who aren’t in a position to do so or don’t feel safe speaking out.